As you may recall, the Law Enforcement Committee holds its mid-annual meeting during the Lake Committee Meeting. The Law Enforcement Committee often organizes a training or workshop to correspond with their meeting as a way to build skills and increase proficiencies among the committee members. This week, the committee organized an invasive species training at the University of Michigan. The objective of the training was to instruct the committee members on the proper identification of common aquatic invasive fish species that can occur, or are expected to occur, in the Great Lakes Basin. 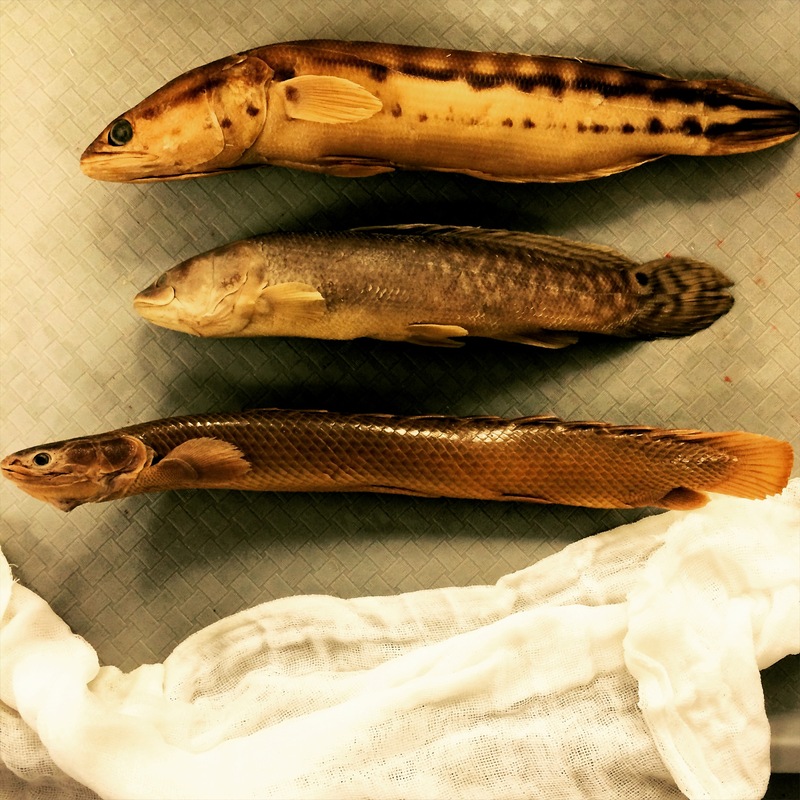 As anyone who has taken an ichthyology class knows, fish identification is often difficult because many fish species look familiar (especially at a young age!). Our training leader, Dr. Kevin Wehrly (Michigan Department of Natural Resources), laid out several preserved aquatic invasive species for us to touch and observe. We were also given books and short summaries to read that provided helpful identification information. 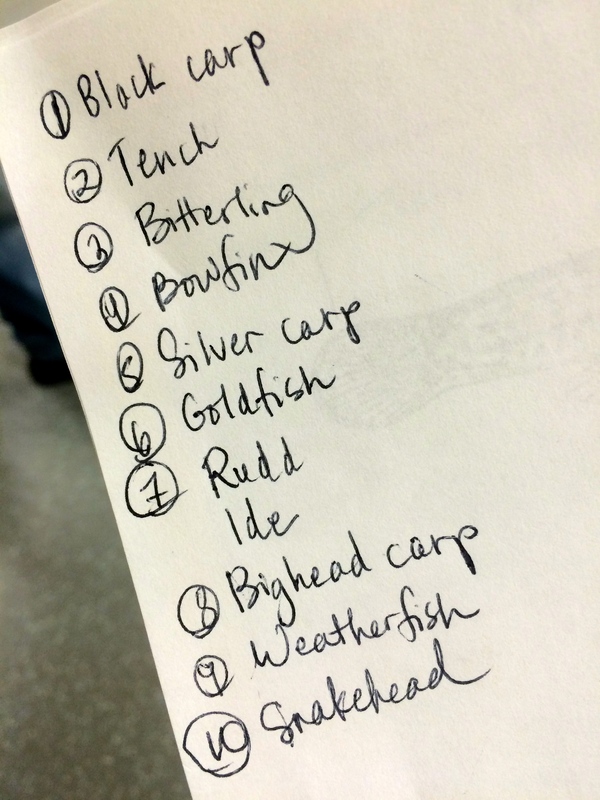 Though the carp species were relatively easy to identify, I had difficulty differentiating among the rudd, goldfish, and more common golden shiner. I particularly enjoyed observing the snakehead. In this training, the snakehead was contrasted with a bichir or reedfish, which is native to Africa and the Nile River. After the training, Doug Nelson, the Collection Manager at the University of Michigan’s Museum of Zoology (UMMZ), gave us a tour of the facility. 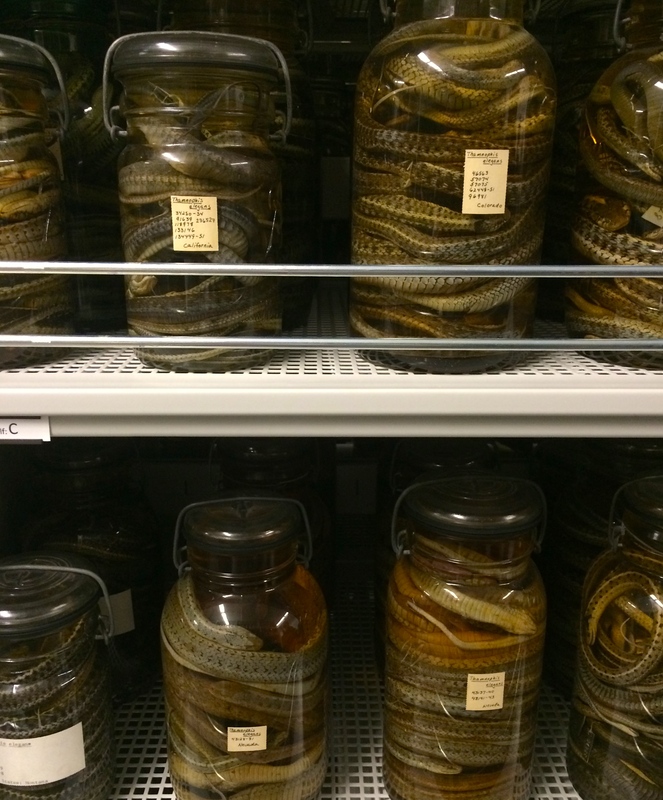 The UMMZ maintains incredible zoological collections for use in research, outreach, and education. According to the UMMZ website, the collections (P.S., Can you find me on the homepage?) 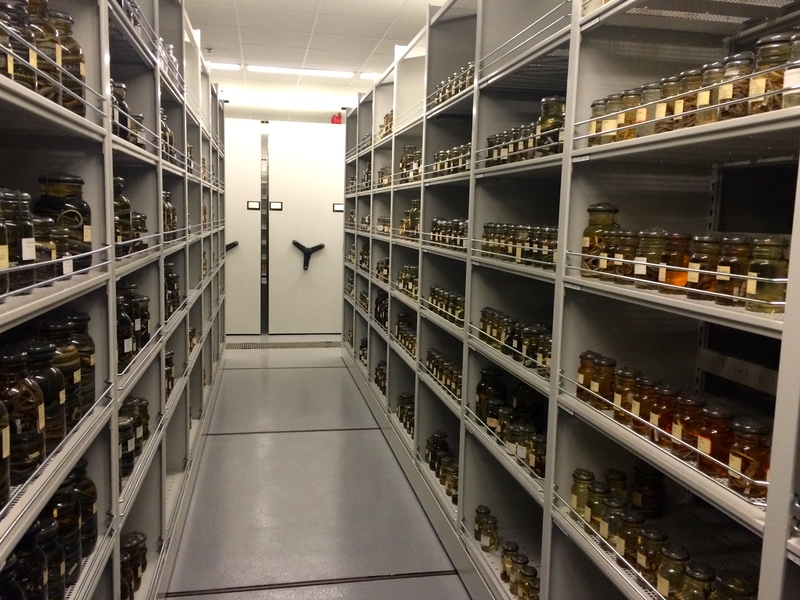 include about 15 million specimens total, comprised of mammals, birds, amphibians and reptiles, fishes (3.3 million specimens, representing 90% of all orders! ), mollusks, mites, and insects. LESSON #15: If it is difficult for fisheries scientist to identify a fish, then it probably even more difficult for a member of the general public to identify a fish. LESSON #16: Workshops and trainings are essential in building skills and improving proficiencies.